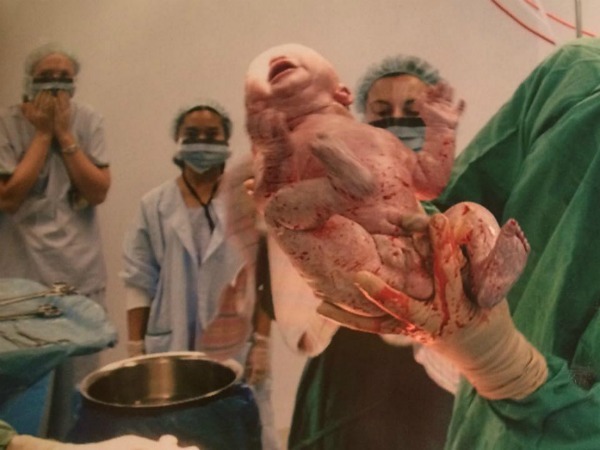 Every birth is beautiful. 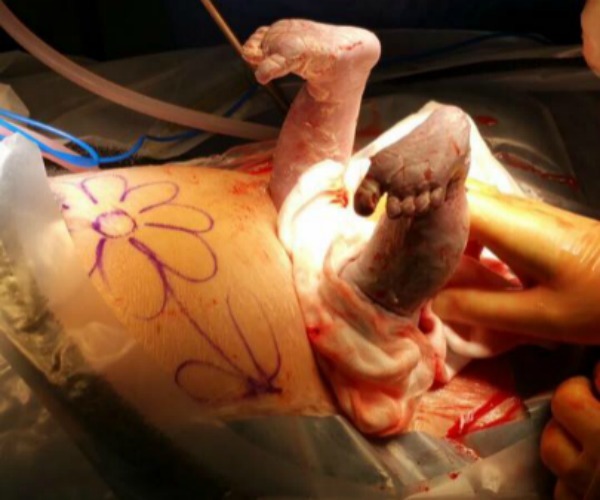 But caesarean births are truly something else. And here are the photos that prove it. 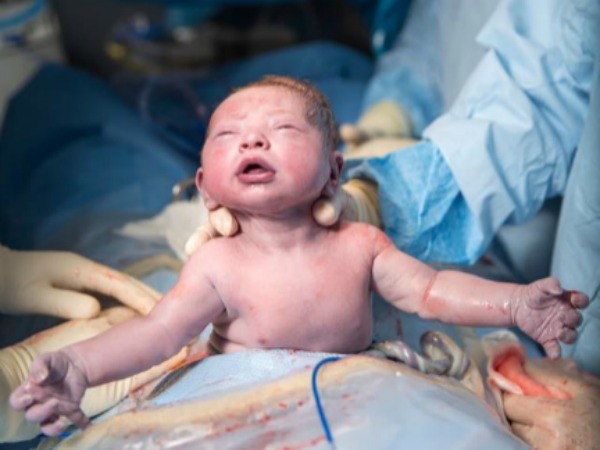 Mums and mums-to-be, come and take a peak at the photos that commemorate the beauty that is a c-section birth and demonstrates just how incredible the female body really is, thanks to our Babyology readers. 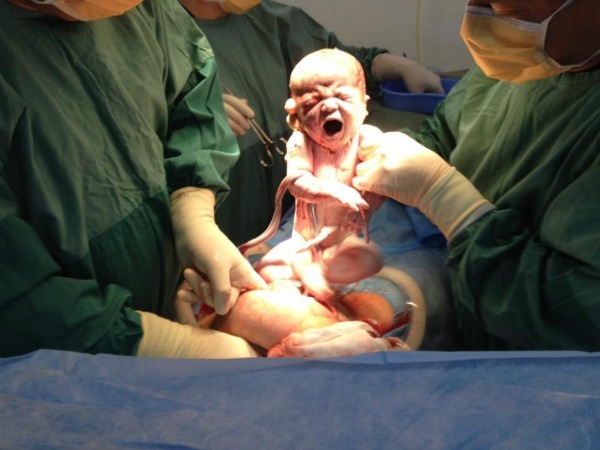 Regardless of whether you have chosen to have a caesarean, whether you have endured an emergency c-section, whether you have had a maternal assisted caesarean or whether you were put under for the delivery, the result remains the same. Birth is birth. And this is birth in all its messy, amazing and awe-inspiring glory. The moment you meet your baby for the first time is nothing short of phenomenal. And in today’s photo-happy world, many mums have captured this moment on camera. Some mums choose to keep these beautiful yet personal photos to themselves, while others share them on social media for all the world to see. That choice is entirely up to you. 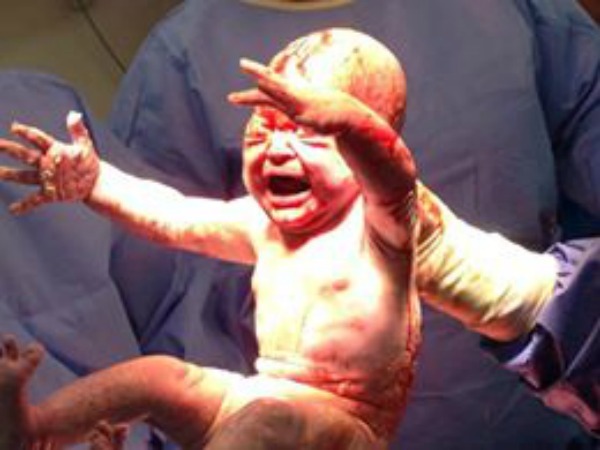 But we’ve collected a stunning selection of caesarean birth photos from our Babyology community that we can’t help but share. These photos capture the pure joy and triumph that awaits at the end of a 40 week (give or take) long road. These images are a far cry from traditional newborn photo shoots, where mum looks angelic in a crisp white gown and bub is the picture of perfection in a knitted beanie without a speck of blood or white goo on him. 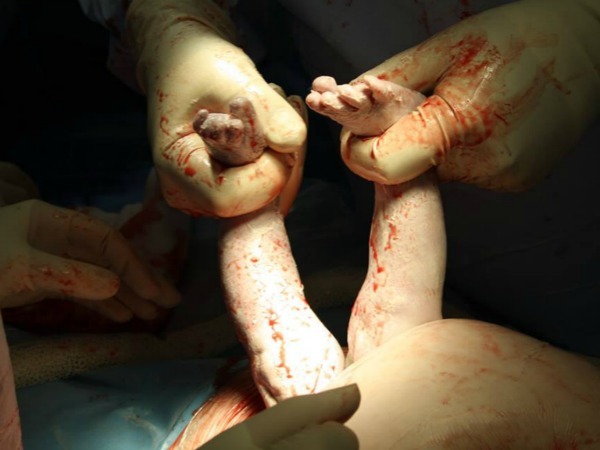 Yet it’s their rawness that makes these caesarian birth photos so mesmerising. 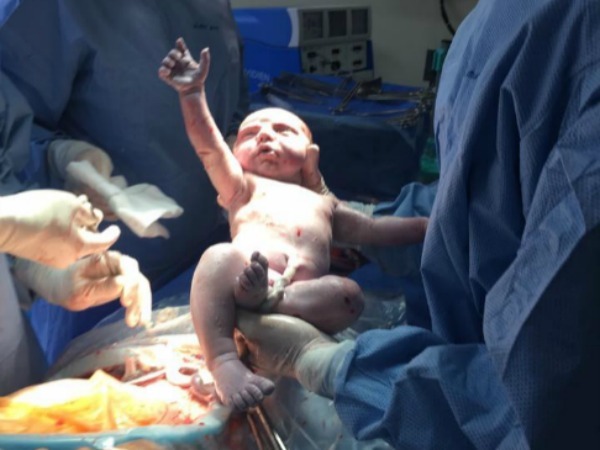 The incredibly awesome poses of the babies are also pretty cool. 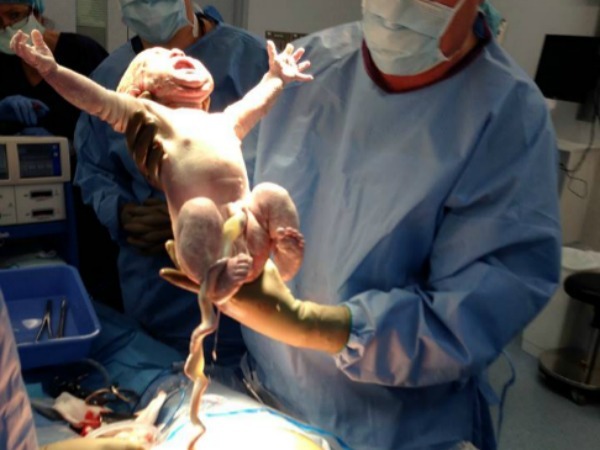 The babies emerge from the belly for all the world like miniature gods. 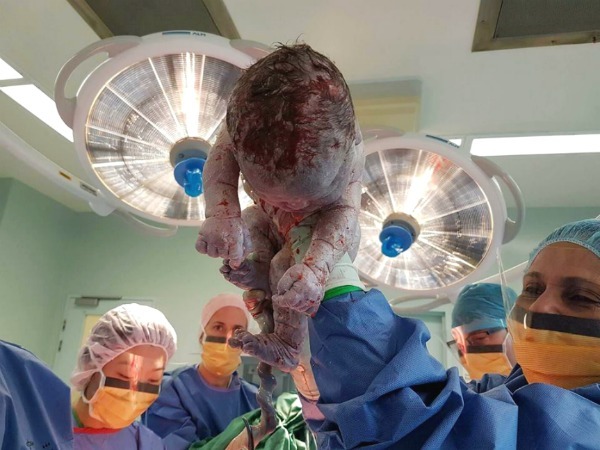 With arms outstretched, eyes wide open and mouths ready to let out a piercing scream, these photos capture the grandness that is caesarean section birth (and the moment of triumph and often relief as baby finally enters the world). 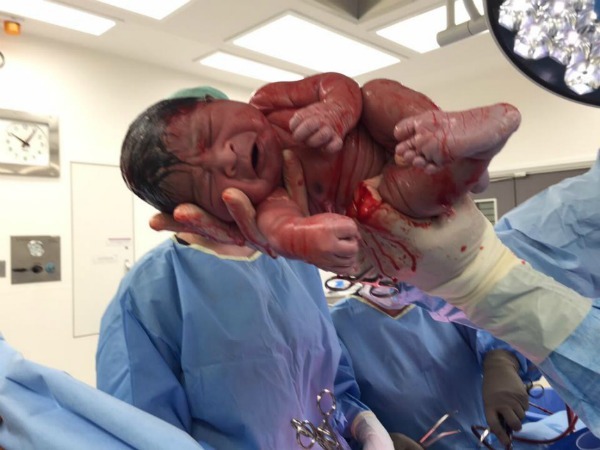 While some of our readers had a professional photographer along for their labour rides, others were lucky enough to get their partners, paediatricians or even anaesthetist nurses to snap a quick shot as bub emerged from the abdomen. “The doctor checking my blood pressure was a photographer and captured this beauty,” mum Karina Batson writes about the stunning shot above. 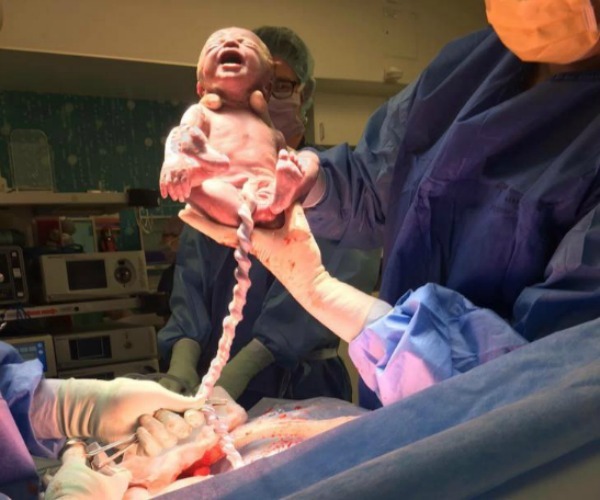 Incredibly, Michelle Tager-van Niekerk also tells us that it was her paediatrician than managed to nab this amazing photo of Michelle’s daughter being born breech (above). Just amazing! 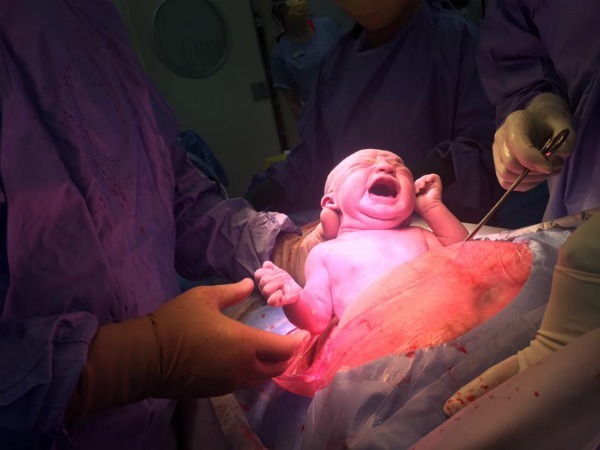 And be sure to check out some of our other stunning caesarean section photography including ‘Take a picture!’ mum yells during c-section and the result is spectacular and amazing photos show babies seconds after birth. A massive thanks to everyone who submitted their photos. We were blown by the rawness, the radiance and the realness that these photos project.